Going to college in the nineties, I was awestruck to learn that the guitarist for one of the most influential grunge bands of the time traced his roots to Kerala. As Mallus do, I established instant kinship with Kim Thayil, whom Rolling Stone magazine named the 100th greatest guitarist of all time. Named after a sculpture in a Seattle park, Soundgarden pioneered grunge – angsty alternative rock later made famous by Nirvana and Pearl Jam. Neither band (nor the genre) existed when Thayil, bassist Hiro Yamamoto and vocalist Chris Cornell grouped in 1984. Two years later they inducted drummer Matt Cameron. Jason Everman, former bass player for Nirvana, briefly replaced Yamamoto after the band’s first two albums before Ben Shepherd filled his place permanently. The first album, Ultramega OK (1988) appeared on the indie label SST after two EPs Screaming Life (1987) and Fopp (1988) were released by Sub Pop (which later signed Nirvana). Louder Than Love (1989) tipped a hat to Led Zeppelin and Black Sabbath and leaned closer to progressive hard rock. Its release by major label A&M Records registered a mainstream first for grunge. The considerably heavier Badmotorfinger (1991), sans Yamamoto, was twice certified platinum and nominated for a Best Metal Performance Grammy. 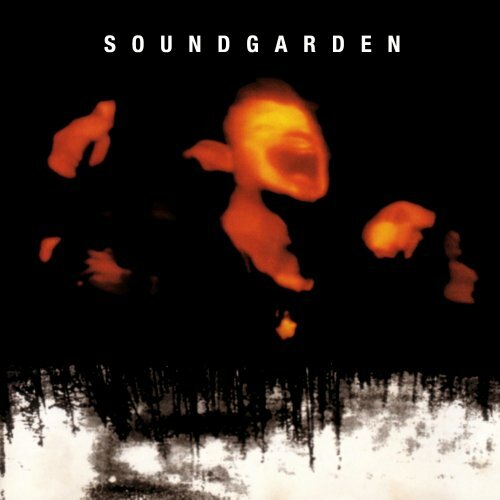 In 1994 came Superunknown, a 70-minute, 16-track beefcake that some consider the finest in the grunge catalogue. Cornell’s unfettered vocal range and Thayil’s sublime guitar work rendered a varied yet cohesive listening experience. Dank and brooding, the album opens with the heavy “Let Me Drown”. The Zeppelinesque guitar intro to “My Wave” is instantly recognisable. “Fell on Black Days”, a morose paean to consuming depression, is engineered to haunt. On the eponymous title track, which shimmers with intricate guitar arrangements, Cornell’s thespian articulation of the lyrics sounds profound – “Get yourself afraid/ get yourself alone/ get yourself contained/ get yourself control” is only as deep as they get. On the wandering, psychedelic “Head Down”, Thayil’s bittersweet, pensive intro is steeped in Cornell’s rent, stricken voice. Cameron’s exquisite, rollicking drum solo is the coup de grâce. The triple-platinum Superunknown won two Grammys in 1994 – for Best Hard Rock Performance (“Black Hole Sun”) and Best Metal Performance (“Spoonman”). Those two tracks, along with “My Wave”, “The Day I Tried to Live” and “Fell on Black Days”, gate-crashed the US Top 20 and camped there for weeks. An avalanche of accolades followed, including a Best Metal/Hard Rock MTV Video Music Award for “Black Hole Sun” and an anointment by Rolling Stone magazine in 1995 as Best Metal Band. Soundgarden’s next (and last) studio album Down on the Upside (1996) sold handsomely but was nowhere near a phenomenon as its predecessor. In April 1997, the group disbanded. Reunion rumours ran rife for thirteen years until the release of Telephantasm: A Retrospective, a double-CD of collected hits, in September. In January, Soundgarden announced the March release of their first live album Live on I5, a reheated repast. ← City Zen – Does our city need plastic surgery?